Welcome to the Dark Circus! The circus folk of Monsieur Anansi tugboat airship prefer to keep their pasts hidden. Juggling fire; keeping secrets …balancing all they own on the frailest of wires. What will happen when a stranger disrupts their equilibrium? Join the NeoVictoria Roleplay Group for this very special series of roleplay events! 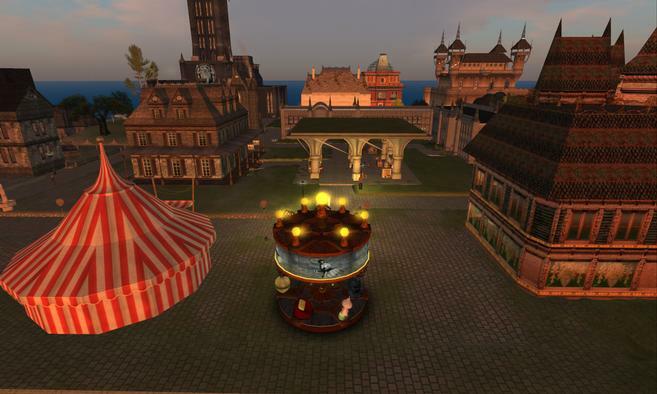 “A Dark Circus” begins Noon (SL-time) on Thursday, 20 April 2017 on the NeoVictoria SIM in Second Life. This is a roleplay adventure produced exclusively for Fantasy Faire 2017, to benefit Relay-for-Life in the fight against cancer! Join us and be welcome!